Aifred Health seeks to develop a clinical decision aid for physicians that harnesses the power of artificial intelligence (AI) to aid optimal depression treatment for any given patient. Using deep learning, an AI technique, Aifred Health is training computer algorithms with medical data to produce treatment decision aids that support physicians in prescribing treatments more effectively. Aifred Health’s goal is to alleviate the acute problem of treatment selection for patients with depression by significantly reducing patient recovery time, improving patient flow and reducing clinician burnout. They aim to improve treatment efficacy, reduce recovery times and lower health care costs by reducing the amount of services required per patient to achieve remission. By way of precision medicine, they are enhancing the quality of mental health care services by augmenting treatment selection practices, which will improve patient recovery rates and optimize resource allocation. Dr. David Benrimoh is a Psychiatry Resident at McGill University and the CEO of Aifred Health. In addition to strategic vision at Aifred, David serves as the bridge between the clinical and machine learning teams. He has conducted research in neuroscience, neuroimaging, cognition, psychiatric epidemiology, medical education and computational psychiatry. He completed medical school at McGill and holds an MSc Neuroscience from University College London, which he attended on a Strauss Clinical Fellowship. 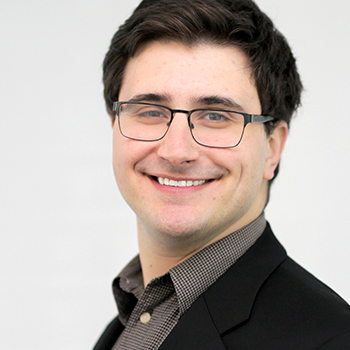 Before working on Aifred, David co-founded the non-profit FRESQUE and engaged in policy and advocacy work around public access to psychotherapy, national pharmacare, and making McGill the first campus on track to become smoke-free in Quebec. David is passionate about integrating clinical practice, research, advocacy, leadership―and most recently entrepreneurship―to find ways to work with others to improve patient and population outcomes. The Joule Innovation grant will allow them to accelerate the development of their measurement-based care and AI application and to pilot the application in clinical settings to ensure its safety and effectiveness. Depression affects over 300 million people worldwide. Despite the wide range of treatments, clinicians must often resort to employing a “guess and check” approach, requiring multiple attempts to identify an effective treatment for their individual patients.